Girl power and flower power are the perfect combination! 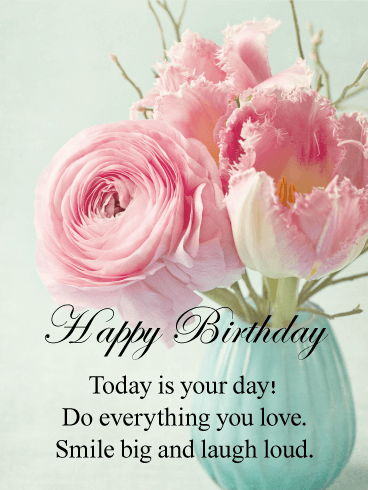 Make someone smile with this birthday card that's simply fabulous! The colors are stunning, and just look at those flowers! The lipstick and makeup brushes add an element of fun, while the flowers counter it with a simple softness. 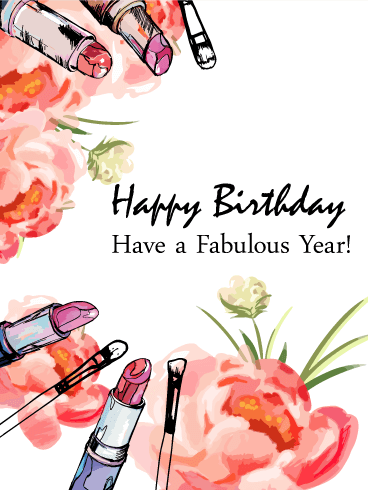 Add in the line about having a fabulous year and you have the perfect birthday card! Pucker up! 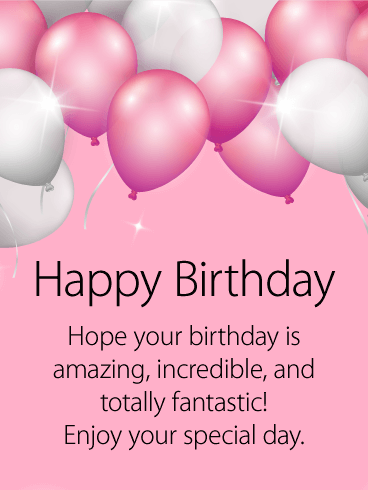 This exciting birthday card is sure to make a splash! 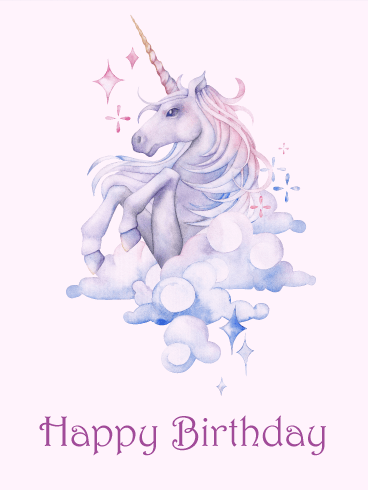 If you're looking for an empowering, girl-centric birthday card, you can't go wrong with this one! 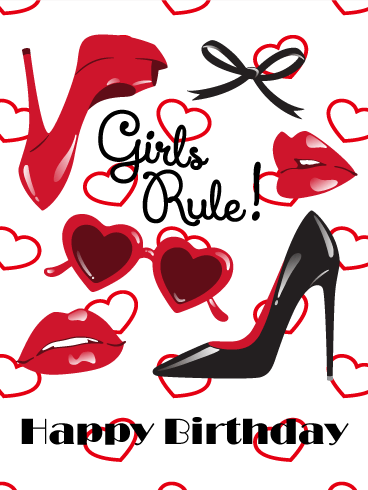 The hearts, kissy lips, sunglasses, and high heels add tons of fun and make this birthday card stand out from all the rest. Whether you're looking for a card for your daughter, sister, cousin, or friend, this is a sure win! 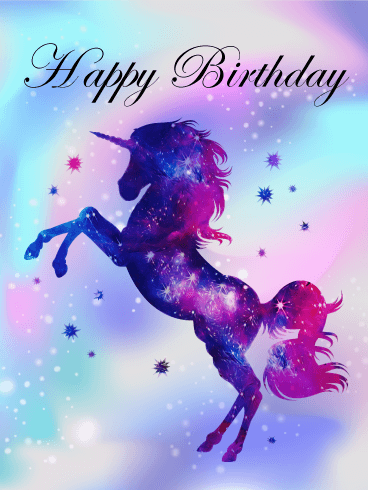 This is a birthday card unlike any other. For starters, the color scheme is nontraditional, but the yellow, red, black, and pink somehow work and make for a fun, standout card. The high heels add an element of girly fun without being over the top. 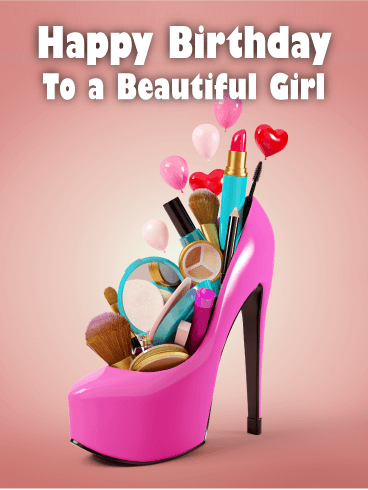 This birthday card is a great choice for the lady in your life celebrating her birthday! 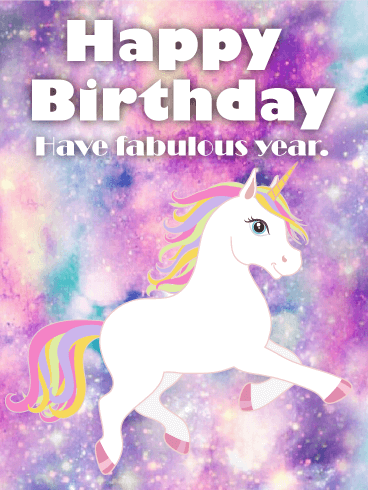 What's not to love about this fabulous birthday card?! Girls, assemble! It's time to get the party on with the high heels, sunglasses, cell phones, and flowers. 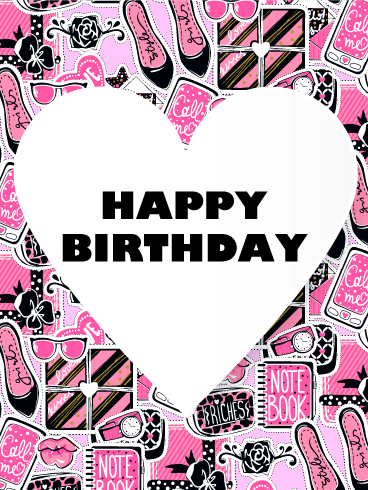 The background of this birthday card is tons of fun, while the heart-shaped word bubble adds a sweet element. 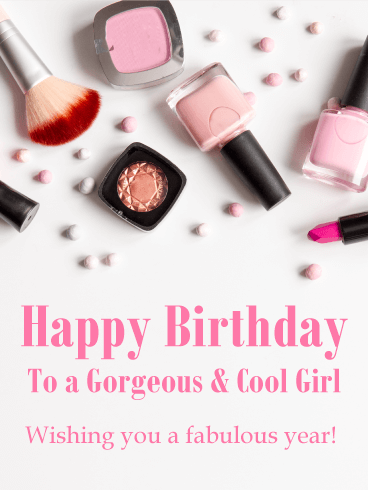 This is perfect for any young girl or teenager in your life celebrating their birthday. 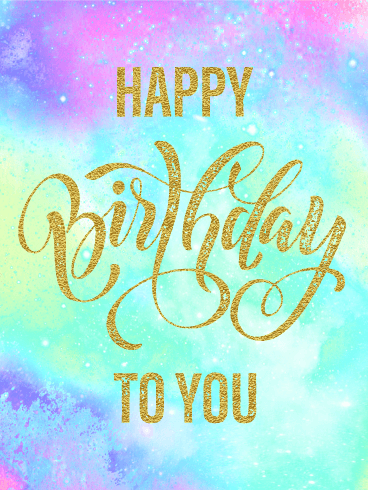 The birthday girl in your life is sure to love you after receiving this fun and fabulous birthday card! After all, who doesn't love being told they're gorgeous?! 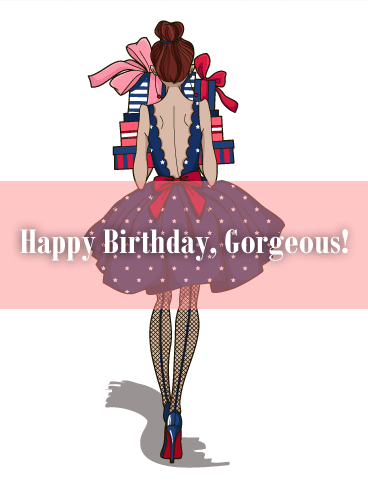 Throw in a whimsical cartoon with a fabulous dress and tons of presents, and you have a winning birthday card. This is the perfect choice for any girl celebrating their special day!